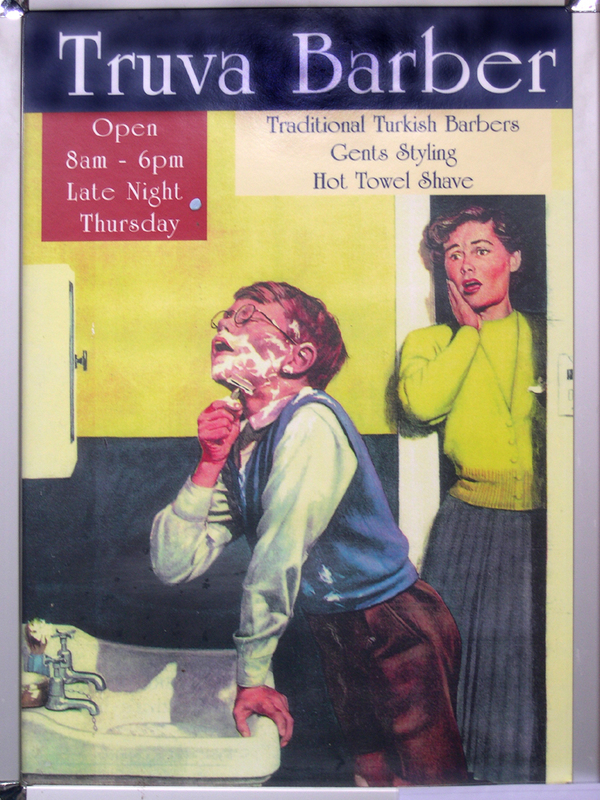 Fathers (and other men) are invariably somewhere between amused, sympathetic and nostalgic, often checking the razor and finding no blades; mothers (and other women) usually either mock the boy or are horrified (to be losing their "baby"), the latter exemplified in this poster, seen outside a Glasgow, Scotland barber shop in October, 2008. The interaction is also used in product advertising. 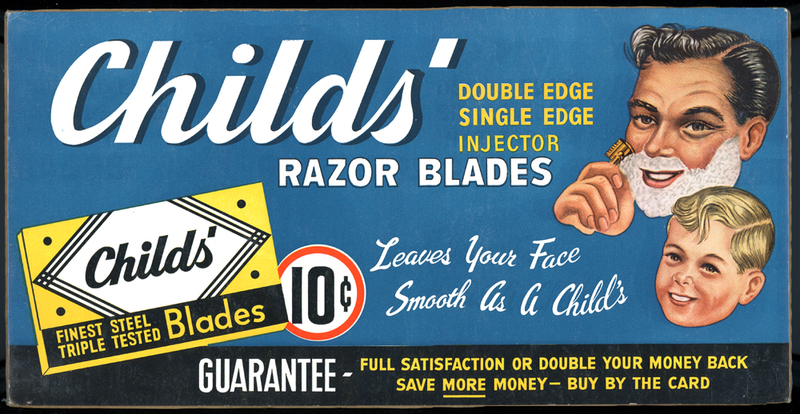 In the 1930s, the Childs' Razor Blade Co. of Jonesboro, Arkansas claimed that their razor blades "Leaves Your Face Smooth as a Child's". turnabout day", when campers "become" counselors, and vice versa. Jason Pembroke (10)(Michael Pearlman) shaves with Charles (Scott Baio). won't lose the razor in there. Theo: I put on too much, didn't I? Cliff: Oh, no. Sometimes I use three to four cans myself. "shaves" off the lather with his finger. Jeff Stone (Paul Petersen) thinks it's time to start shaving. cheeks are now that he's had a good shave! 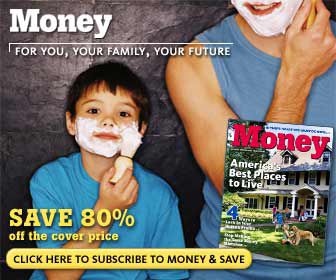 even being used as the image in its advertisting and home video packaging. realizes he is becoming a man. matter by giving Ernie some money to buy his own shaving gear. his face with the cream, then starts eating it, and (of course) gets sick. We see Ted Beene (Andrew Lawrence) in front of the bathroom mirror shaving. he sprouted exactly four whiskers." 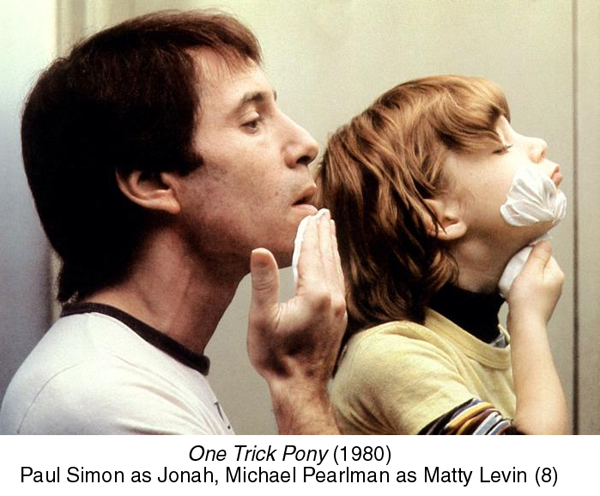 Matty Levin (8)(Michael Pearlman), mimics shaving with Jonah (Paul Simon). shaving cream on the boy's face. razor and runs it over his own (dry) face, to be like his dad. off Bron's beard, and Bron asks if he can trust Con not to tell his Dad. Derek Taylor (Jason Bateman) are staying in a Chicago hotel. he's going to get a special razor that his father taught him to shave with. "Shave WHAT?" Mark: "My face!" offers to go get the special razor again, because he sees the "stubble"
could we put a blade in it?" there in just 60 seconds!" and Charlie scrapes the cream off the boy's face, as if he were shaving him. The Courtship of Eddie's Father (ABC, 1969-1972; see above). empty) safety razor in a touching, if clichéd, scene. but he still feels he's old enough to need to shave. His dad, Judge James K.
benevolent and understanding way, asks, "Is that my shaving brush?"